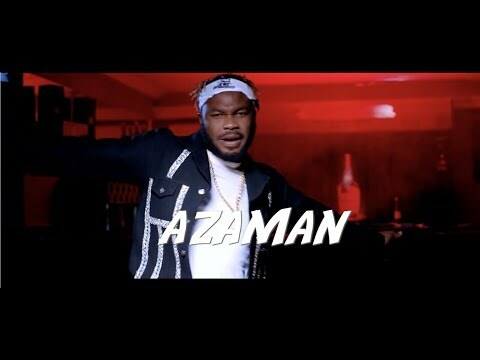 It’s a potential collabo of the year as Slimcase comes through with a brand new song and features 2Baba, Peruzzi, DJ Neptune and Karry Gaaga on this song titled “Azaman” and you just have to listen. This new song is the first we are hearing from Slimcase since last month when he joined Mr Real on Laaj‘s “Baller” which was itself a followup to his feature on Jumabee‘s “Luk ‘A’ Body” earlier in December and this new song from him is definitely a worthy first song. The last time Slimcase released a song though was in August last year when he came through on the solo effort titled “Kalamo”, which was just one of only a few songs released last year but this year looks like it will be different. Collaborator, 2Baba needs no introduction in the music scene. His songs have always connected with fans and his “Amaka” collab with Peruzzi is still getting played everywhere. Well, he brings that fire to this song and joined by other artistes on top of their game, they all delivered and we recommend that you listen. To enjoy the new song, stream or download here and drop your comments in the comments section.